FORT WORTH, TEXAS – On Saturday the 25th of June, Calgary Periodontist and Fazioli owner Thomas Yu performed in the final round of the 2016 Cliburn Amateur Competition. After seven days of outstanding performances, Thomas Yu was announced as the winner – and also received the ‘Audience’ award, and the ‘Press’ award. Yu owns and practices on a 7-foot Fazioli F212 at home, and describes it being “perfectly balanced, top to bottom”, and having an “incredible ability create colour in all levels of sound”. Also receiving special recognition was Ken Iisaka, a software engineer from Japan who owns a 10-foot Fazioli F308. 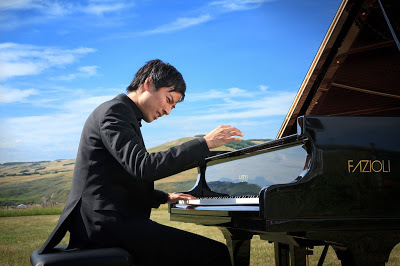 Isaka received the ‘Outstanding Performance of a Work from the Classical Era’ award.